The party has suggested adding some proposals for new constructions in addition to reconstruction, thus giving additional powers to the CEO and bringing in more experts. KATHMANDU - With major political parties renewing their disputes over the modality, jurisdiction and working procedures of the Reconstruction Authority, the bill on formation of the authority has fallen into crisis, adding to uncertainty over the fate of the much-awaited body. The main opposition UCPN (Maoist) has now insisted on sending the bill back to the cabinet, demanding major changes to its provisions. The Maoist leaders came up with a new stance as the government failed to replace the ordinance introduced by the government to form the authority. As per the interim constitution, an ordinance must be replaced within 60 days of commencement of the subsequent parliament session. However, the government is insisting on replacing the ordinance after just making some changes to the bill without returning to the cabinet. “The bill can’t move ahead unless it is returned to the cabinet because it has already missed the deadline. As an opposition party we will not allow it because the move is against parliamentary practice,” UCPN (Maoist) chief whip Giriraj Mani Pokharel told Republica. The major opposition party has argued that it was ready to allow the bill for endorsement if it had been tabled in parliament on time. 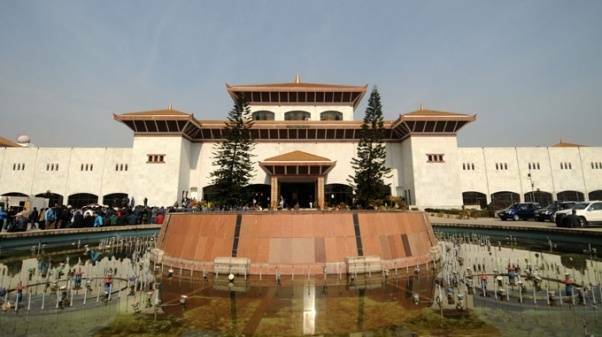 The party has accused the government for not attaching any seriousness to passing the reconstruction authority bill through the House at the earliest. A meeting of the parliamentary board of the UCPN (Maoist) on Monday decided to send representatives from the party if government was ready to revise the bill.